We have once again joined with People’s Choice Community Lottery to boost our fundraising efforts. There are some fantastic prizes available, including two cars and a huge white goods package. Tickets can be purchased online or tickets will be available to purchase at the club after the Easter break. Get your tickets now and enter the bonus early bird draw to win a Toyota Yaris. We are accepting enrolments for Session 3, beginning Sunday 16 June and Tuesday 18 June. If you are interested in signing up for our Obedience classes, please fill out our new membership application form, and return it to tdtc@bigpond.com, along with a copy of your dogs latest vaccination certificate, and any puppy school certificates you may have. Please be aware that numbers are limited and priority will be given based on the date that your enrolment is completed (i.e. you have provided your application form, your vaccination certificate and payment of membership fees). need within the community to provide obedience training for dogs. progress at your own speed in a fun, supportive environment. or those interested in competing in events such as flyball, agility, rally obedience and obedience trialing. companion you can be proud of. Your instructor will guide you through our Clicker Training program which uses positive reinforcement to teach your dog the rights and wrongs in their behaviour. The result will be a happy dog, happy handler and a very happy household. 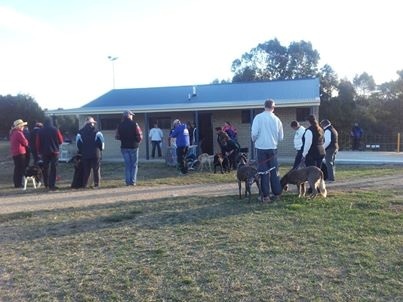 have the opportunity to socialise your dog in a safe, fun environment where you can meet other club members and receive invites to all club activities. 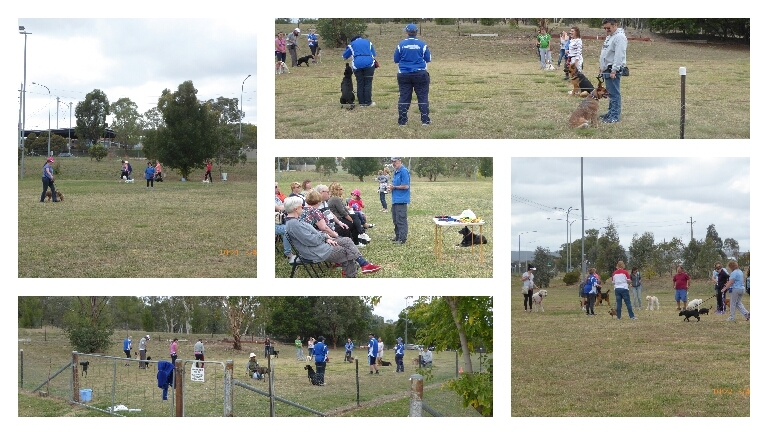 One hour obedience classes are held every Sunday between 9.00 – 11.00am and Tuesday between 7.00 – 9.00pm at the Club grounds in Greenway. Our classes are small with generally only 6-10 dogs and handlers per class. There are lots of different organisations offering dog training. Why is it worth joining a dog club? Our instructors are required to have successfully completed our instructor training program. The Club House is open during training sessions with access to toilets and the Club Store – for all your essential training products from leads to training pouches. Our fully fenced training grounds and exercise/socialising yards are available for club members use. These areas are also available out of hours.